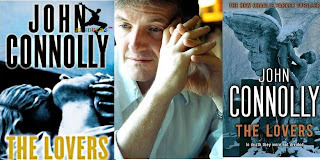 Mihir Wanchoo expands FBC's horizons with an interview of mystery/thriller author John Connolly. Read and enjoy! 1] It's been more than a decade since your first book was published, how do see your journey from the publication of "Every dead thing" up till now? JC: Er, with some surprise, I think. Like most authors, I never really expected the first book to be published, so to have reached this point without being found out seems like a miracle. Seriously, I think the books have become better, although I know that there will always be readers who have a fondness for an author's first novel, and that's absolutely fine. I think I've kept trying to do new things, and I've been fortunate in that a portion of my readers have taken chances on books like NOCTURNES and THE BOOK OF LOST THINGS, books that don't necessarily fit into the standard pattern of a genre author. In the end, I've been very lucky with my readers, my editors, and my publishers. Lucky, period. 2] What point of time did you decide to become a writer? What made you choose to write in this genre? JC: I've always written, but I think that's probably true of most published authors. I began with school essays, moved into journalism, and then, eventually, novels. As for choosing mystery fiction, well, it was what I read, along with old ghost stories, so it's not surprising that the two genres should have come together in my work. 3] To any reader who hasn't read one of your books, how would you convince them to give one of your novels a try? JC: Oh, that's a rotten question. I usually point people in the direction of Ross Macdonald and James Lee Burke first, and when they've exhausted their books I tell them, well, mine are a bit like those, except not as good. (Memo to self: work on sales pitch.) That really is a hard question to answer. Thankfully, I don't have to convince people in person very often. I suppose I'd tell them that they're mysteries, but probably a little different to the mysteries that they're used to reading. Scarier, perhaps, and interested in language as well as character and action. 4] In your blog you have mentioned how titles of your books often come from poems [Every Dead thing, The White Road] & songs [Dark Hollow]. What is it about certain words or phrases that makes you pick them as titles? JC: I've always found titles very difficult. In fact, I argued a lot with my publishers over DARK HOLLOW, which they didn't like at all, at least in the UK, but I really couldn't come up with anything more apt. As you point out in your question, some song titles, snatches of poetry, or lyrics are just evocative, but I've tried to make sure that when I pick up on someone else's words for a title those words really do say something about the book in question. Lately, I've been working with two word titles because I like the simplicity of them, but already I know that that will change a couple of books down the line, as the prospective title for book, um, 14 or 15 is a four word title. 5] Where do you find the inspiration for your stories, (i.e. : nature, events, people, etc.)? And is there a particular life experience that influenced your writing? JC: I don't tend to draw upon real life at all, at least not for the plots. Elements of the world around me, or contemporary events, will inevitably creep in, but writers who make a big deal out of reality in their work are misguided, I think. Writers, like filmmakers, create a version of a version of reality: subjective reality filtered a second time through a creative imagination to produce something that's owes only a passing debt to reality. I suppose that there have been a lot of formative influences on my work. I was troubled, and marked, by the unsolved murder of a young call-girl named Belinda Pereira that I covered as a journalist. That certainly filtered into the books, and DARK HOLLOW in particular. 6] In many of your interviews you have frequently mentioned Ross Macdonald, Raymond Chandler & James Lee Burke. Could you enumerate their influences on you and why you feel they ought to be read more? JC: Actually, I tend to mention Chandler only because I think he unfairly overshadows Macdonald, who was the better novelist of the two. The importance of empathy in my novels is down to the influence of Macdonald. Burke, meanwhile, taught me that mystery writing can be lyrical and poetic. It can aspire to the status of literature. 7] The term "Honeycomb world" is often spotted amongst almost all your novels. Could you tell us about its origin & the context of this reference? JC: It came about when I was writing THE KILLING KIND, and was a way of explaining how the memory of events in the past could find a way to leach into the present, and how history falls in uneven layers, leaving these little pockets of memory that can be breached. Oddly enough, Macdonald used a similar metaphor in one of his books but, while I've borrowed a great deal from him, and been influenced by him, that wasn't one of the things, or certainly I wasn't conscious of it. I think that, for a brief moment, I was just thinking about a subject in a similar way to him, and the same image presented itself. 8] Your favorite authors? Feel free to quote as many authors in as many genres as you like! JC: Well, Macdonald and Burke, obviously. Cormac MacCarthy, particularly BLOOD MERIDIAN and THE BORDER TRILOGY. Then odd ones: P.G. Wodehouse's Jeeves & Wooster books; Dickens; the ghost story writer M.R. James; and Stephen King, who was one of the first genre novelists I read. Oh, and Ian Fleming. I loved James Bond, but I think I loved the villains more. 9] Is it true that you have also co-written a non-fiction book "Married to a Stranger: A True Story of Murder and the Multi-Million Dollar Mail-Order Bride Business". Could you tell us more about this? JC: Actually, I didn't write that. I probably just share a name with the guy. That happens a lot. I was once mistaken for Joe Connelly the guy who wrote BRINGING OUT THE DEAD. I only realized it when the woman interviewing me asked if I missed driving an ambulance in New York, which I kind of did because I'd never done it. 10] You have 2 books releasing this year, a Charlie Parker novel "The Lovers" & a solo book "The Gates". Tell us something general about them & then something specific as well. JC: Well, THE LOVERS is a reaction to THE REAPERS. I've noticed that each novel tends to be a reaction to the one that went before it, in the sense that I'll often follow a very action-packed, fast-paced novel with something more reflective. In THE LOVERS, Parker is investigating his father's death and, by proxy, his own history. One whole, long section is just two guys sitting down at a table, one telling a story while the other listens, but I tried to make it the most gripping conversation possible. We'll see. THE GATES is a book that I've wanted to write for a long time. It wasn't written to contract, but was done simply because I was desperate to write it. It's a funny, odd little book about a boy named Samuel Johnson and his dog, Boswell, who discover that his neighbors are Satanists who are trying to open the gates of Hell. It's filled with bits of science, and quantum physics in particular. There's no magic in it .I'm so sick of books in which kids have superpowers, or are secretly magicians. Samuel is just a quirky, smart little boy who is faced with a situation that he finds terrifying, but also kind of interesting. So far, both the adults and younger readers who've read it have liked it an awful lot, for which I'm very relieved. do you have any plans to publish books in any other genres? JC: Well, I have published in other genres already. NOCTURNES is a collection of ghost stories, and THE BOOK OF LOST THINGS touches on fantasy and fairytales, but I don't think that it falls into either of those categories. THE GATES is something different again, and over the next year or two I hope to write a novel about food, and a particular moment in culinary history. I'm very fortunate because I've been able to write just what I want to write, and to flit between genres, thanks to tolerant publishers and readers. 12] On your site, you have interviewed several authors, can you give us any insights into what made you choose the authors you interviewed and any special anecdotes to share about the various interviews. JC: By and large, with maybe one or two exceptions, they were authors whose work I liked, or who I found interesting in some way. Most of the anecdotes ended up in the interviews. It may be the case that when a writer is interviewed by another writers, some of the barriers that are sometimes there between a journalist and his or her subject come down, or are blurred slightly, so I get a slightly different interview from a journalist. That's not always the case, though. Both Kathy Reichs and James Patterson are writers who don't seem to care much for the interview process, or who want to use it in a very particular way, and, as a consequence, interviewers perhaps don't get as much out of them. I think that's unfortunate. I understand, as someone who straddles both sides of the divide that writers, like other public or semi-public figures, are under no obligation to give anything of themselves away beyond what is contained in their work, but the interview process doesn't have to be adversarial. 13] What book/books have you read recently that have made an impression on you? JC: I really do struggle to remember what I read yesterday, let alone further back than that. There's a book called THE TWELVE (or GHOSTS OF BELFAST to give it its American title) that I think is just a fabulous debut novel, and one of the best thrillers to have emerged from post-Troubles Northern Ireland. 14] There are 2 films releasing soon in the future, one based on a short story of yours and the other one on the book "Bad Men". How much did you contribute to the script & what was your involvement in both the projects? JC: Nothing to either script, and I have no involvement at all beyond giving everyone involved my blessing and wishing them the best of luck. I visited the set of THE NEW DAUGHTER, and had a great time, and John Travis, who wrote the screenplay, and I stay in touch. I like him a lot, and I think he's very talented. But I think that novelists who choose to get involved in the filming of their work almost inevitably find it a difficult experience. Books and films are too different: at the most basic level, the creation of the former is a solitary affair while the creation of the latter requires a huge team of people, and most authors don't play well with other people. 15] Do you have any official title for the Charlie Parker series & how have you envisioned the end of the series? Do you have a fixed number of books planned? JC: No to all of the above. Well, not quite 'no' to the second question. I have some idea of how the sequence may end, but not when. I still enjoy writing about Parker, and as long as that's the case, then I'll continue with those books. They're very personal to me. Actually, all of the published books are personal on some level, but there's a lot of me in Parker. 16] Your last 2 books have had music CDs released with them, with songs specially chosen by you to tie in with the book & its content. Can you tell us a bit more about this & how do you envision the future with music being intricately tied in with your novels? didn't work out. Maybe for THE WHISPERERS next year. We'll see. 17] As a writer, what still challenges you and what do you want to accomplish? JC: Every book challenges me, because with every book I try to do something different instead of falling back on a formula. It's giving me grey hairs, but if I didn't feel that the books were a struggle, however good and positive a struggle they may be, then I'd have to look hard at what I was doing. Like all writers, I'd like to reach more readers. I'd like to continue to experiment with other genres. Then again, I'm getting to do what I always wanted to do: I'm writing, and being published. My work involves doing something that I love, and being paid enough to keep doing it. I should never be off my bended knees thanking God. 18] In closing, any last words for your multitude of fans worldwide especially about what we can expect from you next? JC: Next will be THE GATES in October, then the new Parker book, THE WHISPERERS, sometime next year, and after that there will be at least one non-Parker book. As for last words: No Refunds . . .